It's time for yet another wild summer of fat transfer fees and roster upheaval. Europe’s soccer season is ending, which means the European transfer window speculation season is about to begin. We have offseason “seasons” in American sports. The NFL has the Draft. ESPN tries its damnedest to make NBA free agency a compelling drama. But nothing approaches the European transfer window. The transfer window stretches across countries and continents. The sums involved stretch into nine figures before actual salaries are even discussed. There’s zero transparency, leaving ample free reign for agents and shady third-parties. Reporting scruples about throwing unfounded chum into the water are near non-existent. Much of the drama happens before the deadline. Though, you will have the world’s two biggest clubs botch a $40 million transfer at 11:59 p.m. over failure to file the paperwork. Following the saga is lots of fun. Here are 10 European players who could be on the move this summer. The French forward has brought Atletico Madrid to the brink of winning just about everything, scoring 83 goals in all competitions over three seasons. But, after a third-place finish for the 2016 Ballon d’Or award, it’s time for the 26-year-old Griezmann to move to a superclub. Manchester United has been the rumored destination. Griezmann himself gave the deal a 6 out of 10 chance of going through. He has a $112 million release clause. Signing the Frenchman would hew to Jose Mourinho’s track record of signing every cool player you like, and making them relentlessly practical. Griezmann liked a recent Paul Pogba Instagram post, which means the move is definitely happening. 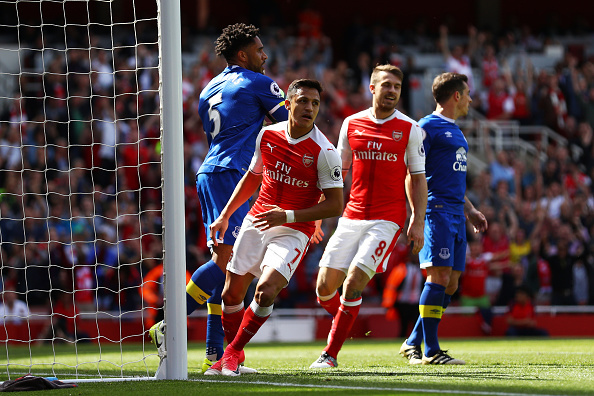 Sanchez was a one-man torrent up front for Arsenal, scoring 29 goals in all competitions. However, his success only highlighted the ‘meh’ effort from everyone else on the club. The 28-year-old Chilean star has one season left on his contract. After finishing in fifth place in the Premier League, Arsenal won’t be spending that final year in the Champions League. If Sanchez doesn’t sign a new contract, Arsenal may be inclined to accept a huge fee and reinvest it, rather than lose him for free next summer. Expect the club to be Bayern Munich if a more lucrative EPL destination does not emerge. Costa is one of the sport’s finest forwards when he wants to be. He’s also one of the sport’s most nefarious villains when he wants to be, too. Chelsea mostly got the good Costa en route to the Premier League title in 2016-17. They don’t want to sell the 28-year-old Brazilian/Spaniard. 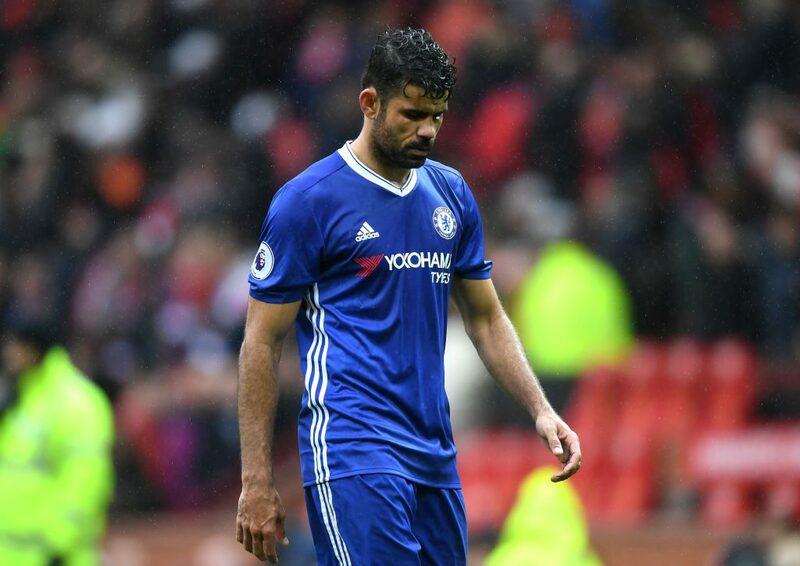 But a rumored $100 million transfer fee and $44 million per year salary offer from Chinese club Tianjin Quanjian (Costa is making about $10 million at Chelsea) could be tough for all parties to turn down. Though, a just imposed luxury tax for Chinese clubs on foreign transfers, which would bump the cost to $200 million, may nix that deal. Lukaku has scored 70 goals for Everton over the past three seasons. It’s time for the 24-year-old Belgian to rejoin one of the world’s superclubs. Everton should bring in more than double the $36 million transfer outlay they made to Chelsea for him. The Blues may be the natural fit to buy him back if Diego Costa leaves this summer. While Jose Mourinho was not a fan of Lukaku’s non-goal scoring qualities when he was Chelsea manager, his current club, Manchester United, have the funds and do need to reinforce up front. Rodriguez won the Golden Boot for Colombia at the 2014 World Cup. And then, he made a mega-move to Real Madrid. In the three years hence, things have not quite worked out for him. There hasn’t been a knock on his ability, but it’s just very hard to crack Real Madrid’s lineup at attacking midfield. Now is the natural time for the 25-year-old to take his talents to somewhere he can play more. Manchester United and Chelsea are both rumored to have interest. Morata is one of the top young striking talents in international soccer, which means just about everyone is interested in signing him. The 24-year-old Spaniard faces the same dilemma as the aforementioned Rodriguez. It’s hard to bump Cristiano Ronaldo, Gareth Bale and Karim Benzema from the lineup at Real Madrid — but Los Blancos probably want to keep him. All the big-name Premier League clubs are interested. He may prefer a return to Italy, however, to become the face of the rebuilding project at AC Milan. 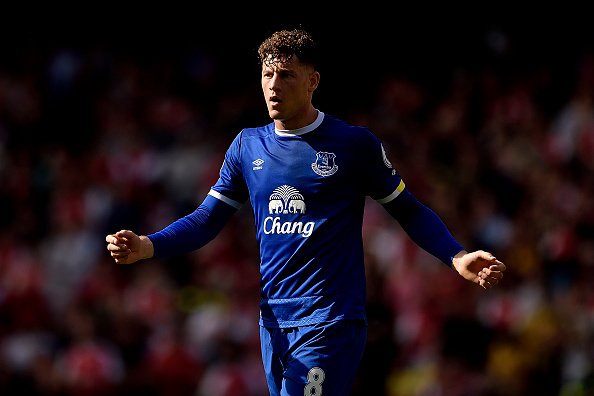 Barkley has the athleticism and technical ability of a “top, top player.” That said, he has not quite put it all together yet at Everton. But English players are of great value in the EPL with homegrown player rules, especially 23-year-old Englishmen who can develop into legitimate stars. Manchester United, Manchester City, Tottenham and Arsenal have interest. But do they have enough interest to meet Everton’s reported $65 million transfer fee demand? He’s good enough to play at those clubs. He’s also not that much of an upgrade (yet) over what they already have. Walker was happy enough to sign a contract extension with Tottenham in September. And now, Spurs are coming off a second-place finish and have an exciting young core of players. It’s not an opportune time to leave. But, rumors of Manchester United, Manchester City and even Bayern Munich being in the market for the 26-year-old may turn his head. Tottenham has a credible replacement right back Kieran Trippier, who had a strong finish to the season and just earned his first senior England call-up. They may let Walker walk. Bellerin has emerged as one of Europe’s top right backs during the past two seasons at Arsenal. The 22-year-old Spaniard has tremendous speed and technical quality. Bellerin also has the vaunted “Barca DNA.” He’s from Barcelona, was a youth player at Barcelona, and fits their style of play. He will appeal to them after the club did not replace Daniel Alves adequately. He also could potentially appeal to former Barcelona coach Pep Guardiola, who could offer more money at Manchester City. However, the six-year contract extension he signed in November means someone will have to make it worth Arsenal’s while. Tolisso is a 22-year-old all-around midfielder. He also looks like he’s on the verge of stardom after a monster season for Lyon in Ligue Un. Reps at a bigger club, in a better league would improve his chances of making a loaded French team for the 2018 World Cup. Tolisso is the exact sort of player Arsene Wenger would have signed in 1997, but the trouble is it’s 2017. He will cost somewhere in the neighborhood of $50 million instead of $5 million, and Arsenal may not be the only club after him.